This exotic butter is extracted from the fallen nuts of the Illipe Trees grown in the South Pacific region. The nuts are gathered, dried in the sun, and then pressed to extract the raw fat inside. Illipe Nut Butter has a similar chemical makeup as Cocoa Butter, but it is harder and more resistant to heat given its higher melting point. 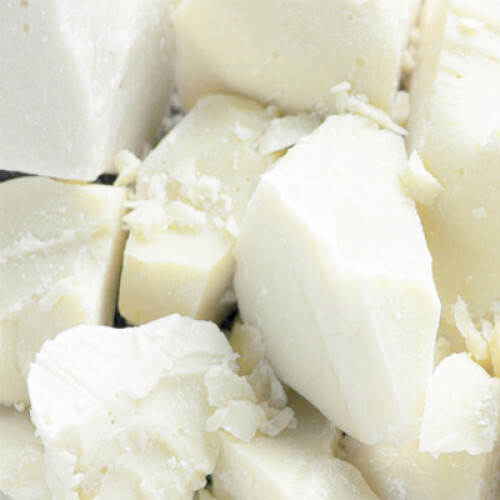 These characteristics make this white refined butter an ideal component in lip balms, bar soaps, and other end products that require a high melting point. Bulk Illipe Nut Butter is believed to be beneficial as a wide range of skin treatments due to its moisturizing characteristics. Illipe will moisturise the skin, restoring its flexibility, and some say this is the most nourishing of all the butters. It is also great for lipsticks and other stick cosmetics as making it ideal for use in bar soaps, lip balms, lip sticks and other stick type applications where a higher melting point is desired in order for it to hold its shape.